mmm Zombie Brains? Yes, we really ordered a cupcake that was called "zombie brains". 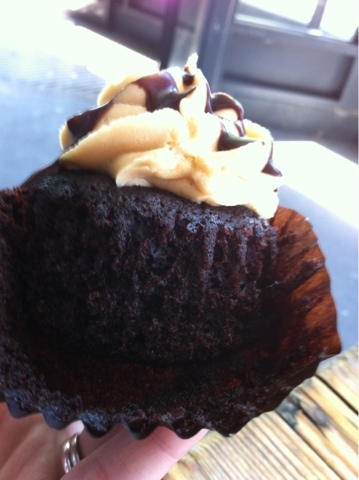 The 2nd cake was a peanut butter cake from Mister Nice Guy cupcakes, an all vegan cupcakery, newly installed at the Prahran Markets. 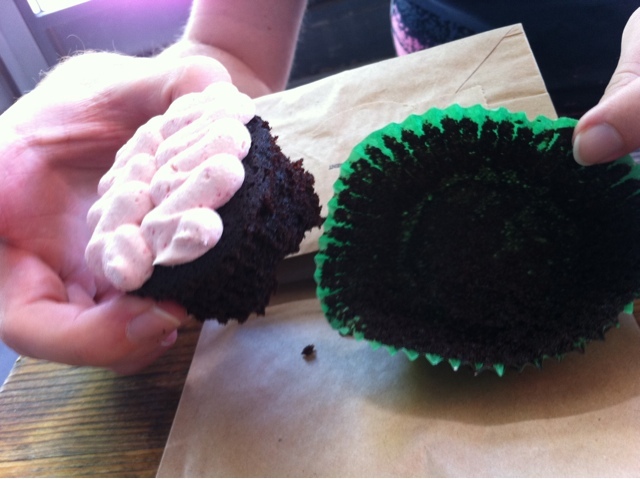 Both cupcakes were very moist, bordering on too moist, as a fair amount of crumb stuck to the paper as we peeled it away. The peanut butter icing was generous and delicious, whereas the strawberry (zombie brains) icing was delicious, but certainly not generous. Looked effective, but didn't deliver enough flavour to the very chocolatey cake.